Image Comics Chew series by creators John Layman and Rob Guillory is one of our all time favorite series. We have been fans from the beginning and it only gets better. Thanks to Layman and Guillory for creating a very humorous, original, unique, and creative series, they have given us a world then no other. Not only do Chew fans have the privilege to read a great comic series, but they have brought it to life thanks to teaming up with Skelton Crew Studio. Skelton Crew Studio is owned by Israel Skelton who is a comic fan of his own who has created amazing replicas from Mouse Guard, Locke and Key, Hellboy, and of course Chew. 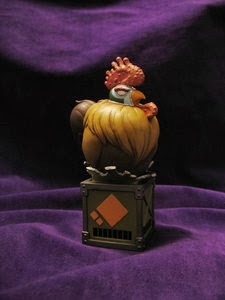 Skelton Crew Studio first created the Chogs and now we will have POYO!! So wild even Hell couldn't handle him. First in our line of mini busts, Poyo is busting out of the pages of John Layman and Rob Guillory's popular "CHEW," published by Image. 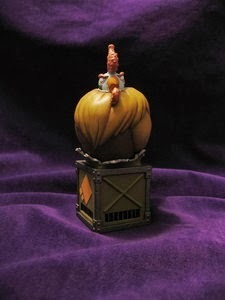 This officially licensed resin statue measures approx. 4.75-inches tall. The box for this limited edition collectible is hand-numbered, one of 500. Sculpted by Jamie Macfarlane. Prototype shown. 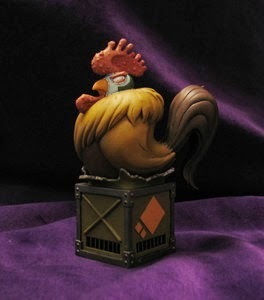 The Poyo mini bust is not intended for children. For ages 14 and up. Not guaranteed to take on your Wolverine mini bust — but would, and win. 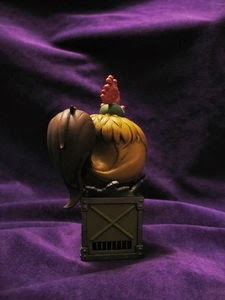 Pre-orders are now available and the Poyo resin mini busts are going fast with over nearly 300 sold already! !